Foreign fertilizer manufacturers have landed in China one after another. What are the opportunities they are looking for here? What will they bring to China? AgroPages made an analysis of the landed global novel fertilizer manufacturer and would like to present you their featured products. China's fertilizer market structure is changing in silent without much attention from public. 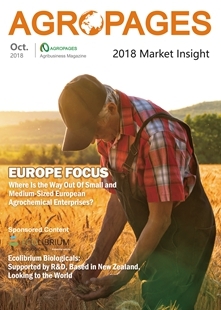 One change lies on the birth of a group of novel agricultural growers generated by the large-scale and intensified plantation mode while the other change is the market acceptance of the concept of total nutrient which results in a higher degree of acceptance of high-end fertilizer by farmers. Furthermore the appeal for soil and environmental protection, as well as the requirement of sustainable development would force an upgrading and transformation of fertilizer industry. This starts to show China's potentials of novel fertilizer development. According to an estimate, China's novel fertilizer industry volume is about Yuan 16.4 billion, but the novel fertilizer usage rate and utilization ratio of novel fertilizer are presently rather low compared with the global level. In the meantime there is a lack of novel fertilizer technology and management standard. In view of the growing demand in the Chinese market and the great opportunities of business, global novel fertilizer enterprises have started one after another to make full use of their respective advantages to capture the shares of China's novel fertilizer market. Brandt China U.S.A MANNIPLEX® Micronutrients- based on Sugar Alcohols. INNSIDE® Micronutrients – based on Polyhydroxyl Complexes. 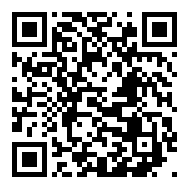 BioAtlantis Ltd Ireland Super Fifty® liquid Seaweed Extract fertilizer registered in China. 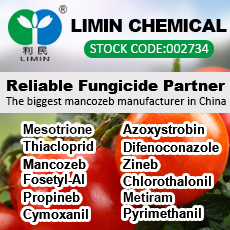 Liquid fertilizer containing Macro and Micro Element Boron, Zinc, Manganese, Molybdenum formulated with Seaweed Extract fertilizer. 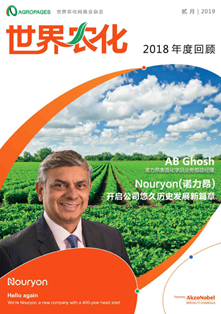 An observation reveals that the active international novel fertilizer manufacturers in China over recent years are mostly from agrotechnically developed territories particularly Europe and the US who are stressing on environmental aspect and centralization of agriculture, being able to supply novel product of high technical content mainly stimulant product which can activate the conditioning and metabolizing ability of plant itself, enhance the vitality of crops and the quality of farm product. BioHuma Netics(BHN) from the US using its patented Micro Carbon Technology® to convert soft humic material into extremely small oxygen-rich carbon molecules. The result is an ultra-efficient carbon source that, when complexed with nutrients, forms the foundation of BHN's unparalleled line of HUMA GRO® liquid soil-and-plant nutrition and crop protection products. Similarly Sipcam from Italy possesses a world's best high-end humic product based on weathered lignite -Enersol®, which is of functions of root enhancement, activation of plant stress resistance and facilitation of growth potential. Additionally the Italian Biolchim, Isagro and the US BioAtlantis have all released biostimulant such as seaweed fertilizer to Chinese market. RNZ INTERNATIONAL FZE from Dubai is featured with the high quality of raw material and the diversification of product line. RNZ is capable of manufacturing over 400 kinds of NPK water soluble fertilizers; their raw material contains very low chlorine, sulphur and sodium contents while heavy metal is under strict monitor, being able to supply various applicable solutions according to customer needs. Companies who have stepped into Chinese market as being strongly backed up by their advantages of territory and special features also include SQM S.A.-Soquimich Comercial from Chili. 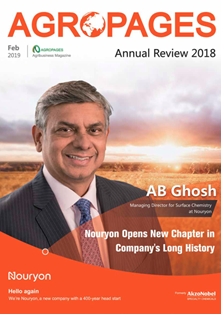 Backed up by the soda nitre and salt lake resources, SQM utilizes its resource advantage, which is integrated with innovative production process, enabling the company to become a high-end water soluble fertilizer vendor with 51% of the global market share. RLF (Rural Liquid Fertilisers) from Australia brings 25 years of technology and development into China by introducing its very unique products. RLF produces high-performance liquid fertilisers for seeds, called BSN Superstrike and its broad-spectrum Ultra Foliar fertilisers for leaf application – these two products are bringing modern farming practice to China farming. Supporting this is a large range of high analysis broad-spectrum products using RLF proprietary NDS, RDS and SDS technologies plus a complete range of specialty fertigation and nutrient chargers. RLF is really investing in China and values its importance greatly. 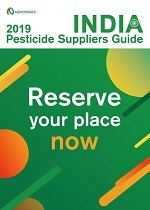 Furthermore, besides the need to introduce novel product to fill up the market gap, the use of high-end fertilizer needs special technical guidance. To this end, most of the international manufacturers have shifted from the position of production to the position of service provider, which helps international companies to rapidly get into Chinese market via technical service. 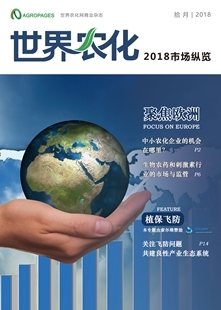 Although products of different companies have different features, in general international fertilizer vendors hold promising views toward Chinese novel fertilizer market. The Australian RLF executive Mr.Gavin Ball told AgroPages that at the appropriate time the Chinese government will enact new laws or regulations to properly manage the novel fertilizer varieties and to standardize the regulation and quality of the market. Because of the lower management cost of Chinese farms, higher incomes can be generated for Chinese farmers. BHN is also confident in the expeditions of Chinese market, having formulated a detailed plan for exploration of Chinese market. As expected by these companies, Chinese government has given policy support to the novel fertilizer industry. Development of novel and eco-friendly fertilizer has been treated as a priority of agricultural development in the recently publicized National Long/Mid Term Science& Technology Development Plan. 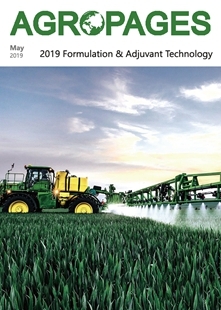 In 2015 the Ministry of Agriculture initiated the 2020 fertilizer-use zero-growth action, indicating that high-efficient and eco-friendly fertilizer will be highly regarded in the future, which is an opportunity for the future development of novel fertilizer.